Industry leaker-extraordinaire, @evleaks, posted the picture above this morning with the comment “Android on Nokia.” In the past, he has also Tweeted pictures of a similar device said to be running Android that is known only by its codename of “Normandy.” Even though Microsoft has gobbled up Nokia’s mobile business, some believe there is still a chance that we will see Nokia release a device running our favorite mobile OS. 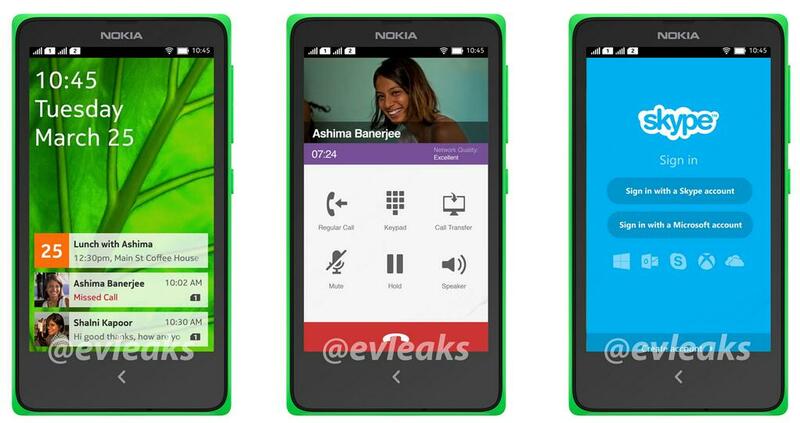 Well, we can see a back button, lock screen, dialer, and screen with Skype running. It does look a little Windows Phone-ish, up near the notification bar, plus it appears to support dual-SIMs, leading us to believe this is an international phone. The UI is semi-card-like; definitely not reminiscent of anything currently on Android. If anything, I think it’s safe to assume that this is a mid or low-end phone aimed at international markets. This isn’t a flagship Nokia device running Android. Update: GSM Arena has posted another screenshot from the device, this time showing off the device’s About Phone page. 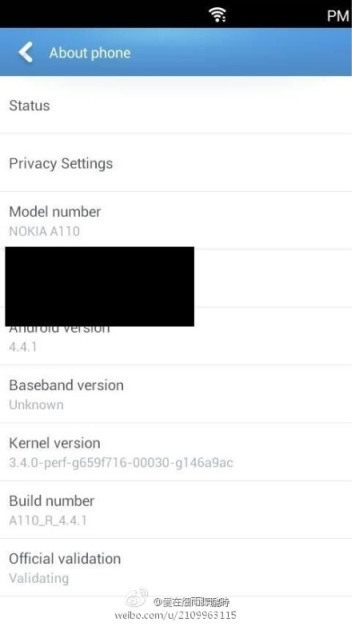 From what we can see, it is apparently running Android 4.4.1 “Kit Kat,” which is actually quite the surprise. Does it make it any more desirable? No, not really.